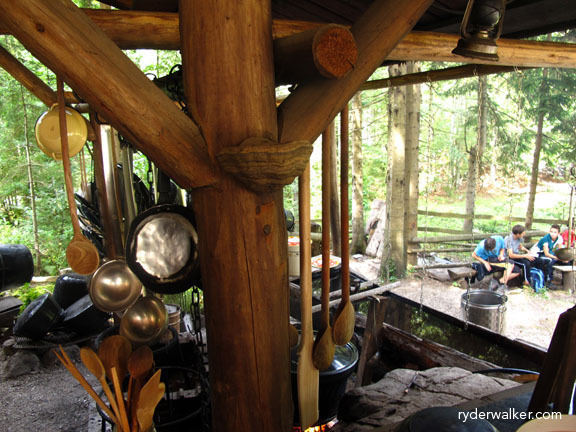 Pots, woodfires and spoons; these are the tools of the trade. When you stop at a watering hole in Slovenia, you get fresh homemade goodness with every ladle. Take the Brunarica Pri Ingotu, for example. You won’t find industrialized pre-packaged plastic food at this hiker’s retreat. No way! This cozy timberlodge, a favorite stop on our Slovenian Triglav Circuit, serves local food and drink made with love, and they do it in a beautiful mountain setting. Note: the view of the Jasenje meadow and the surrounding Julian Alps is divine. Treat yourself!